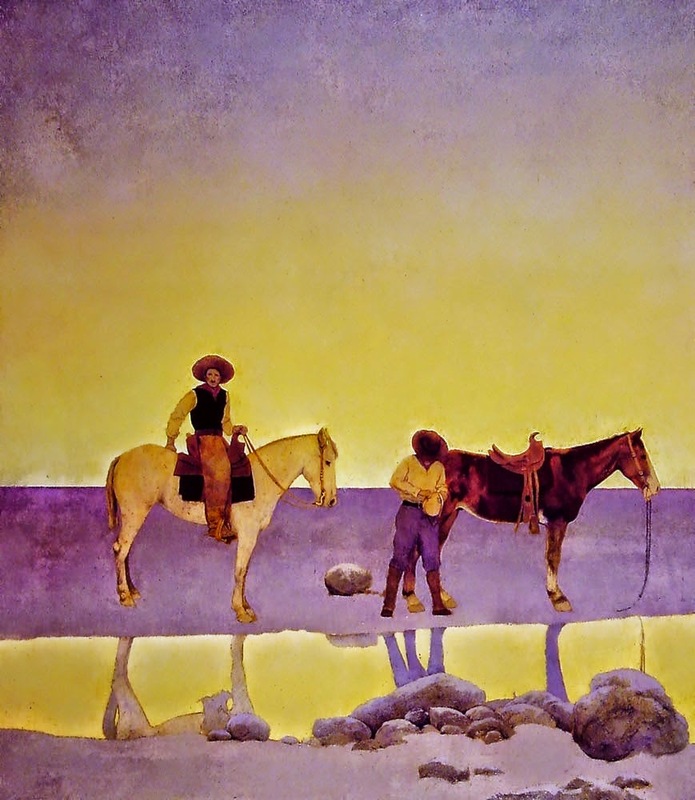 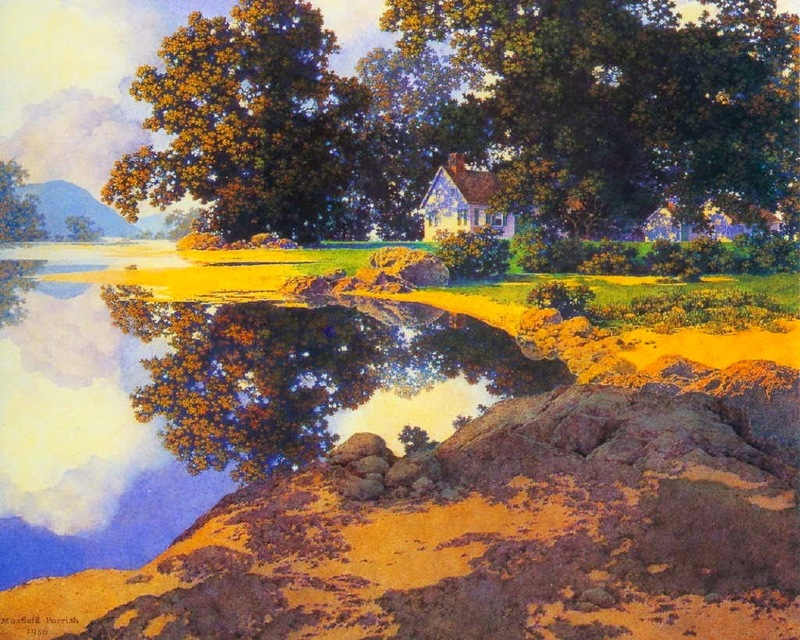 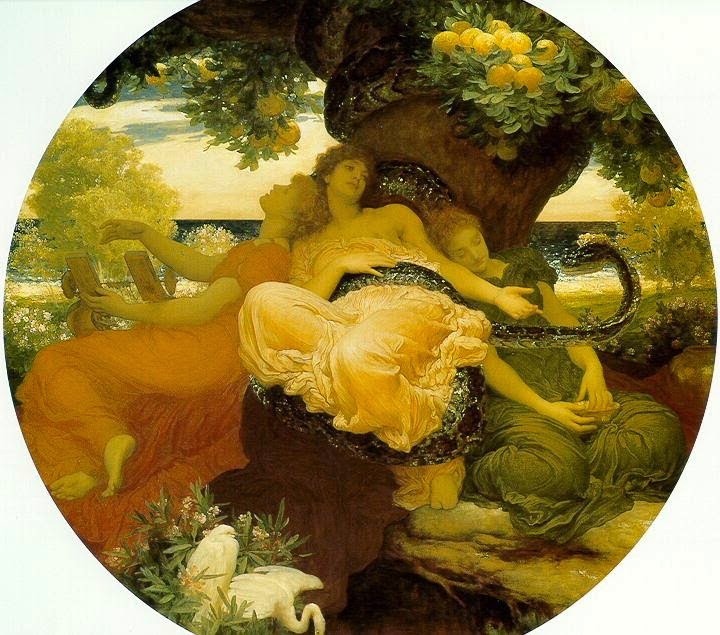 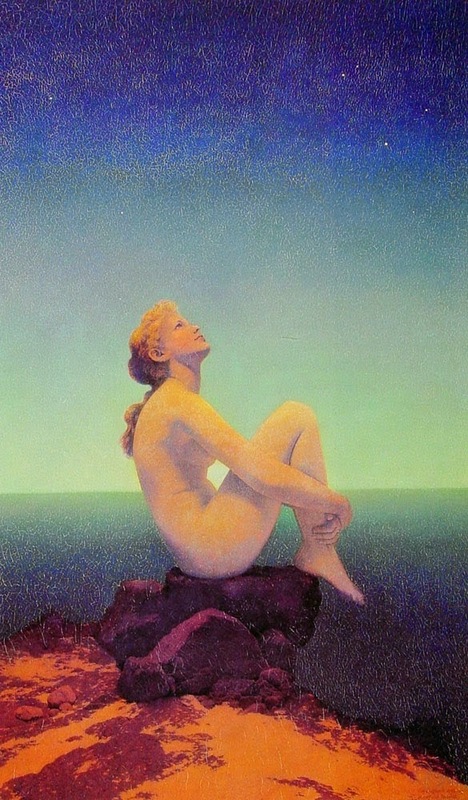 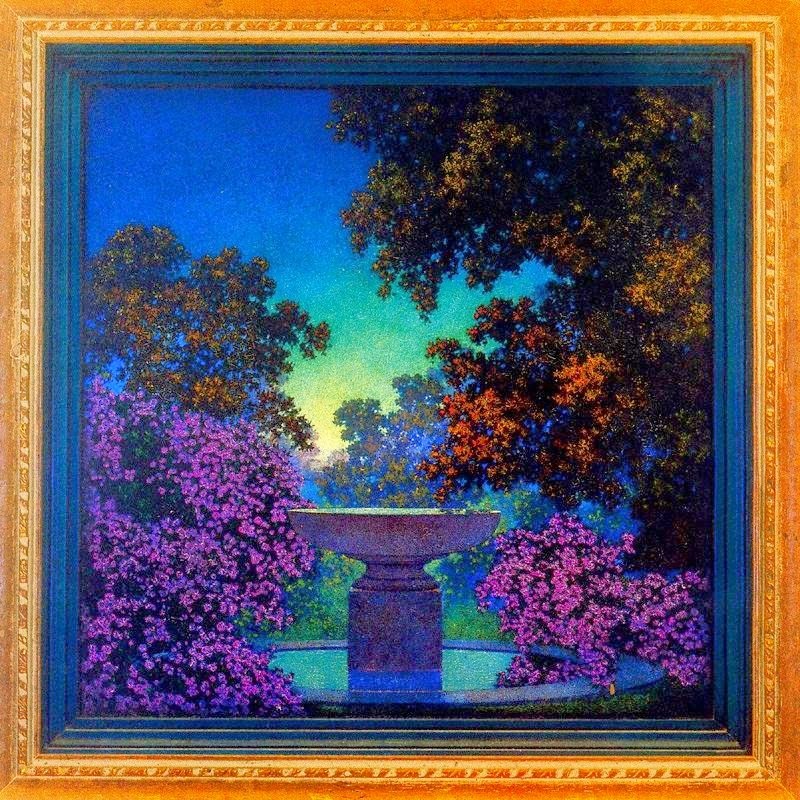 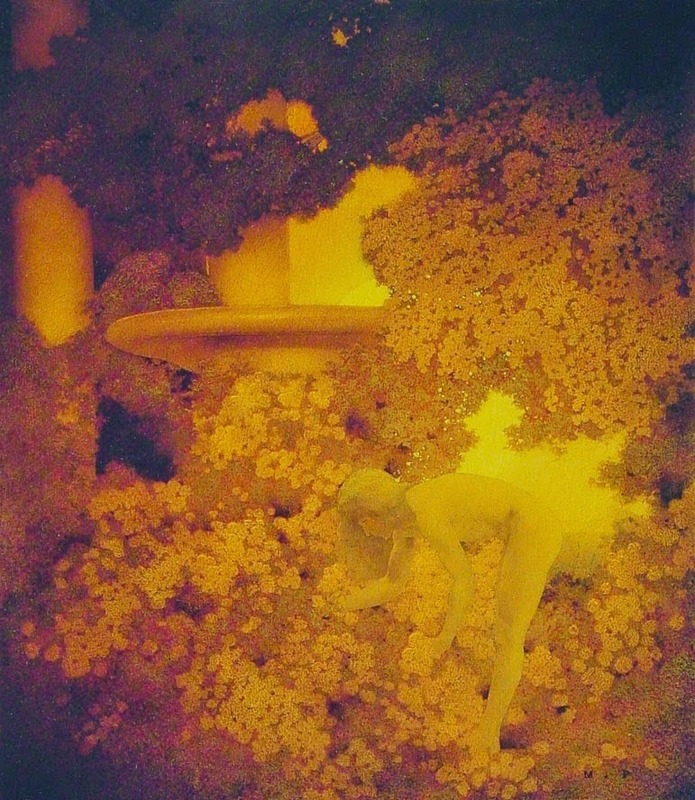 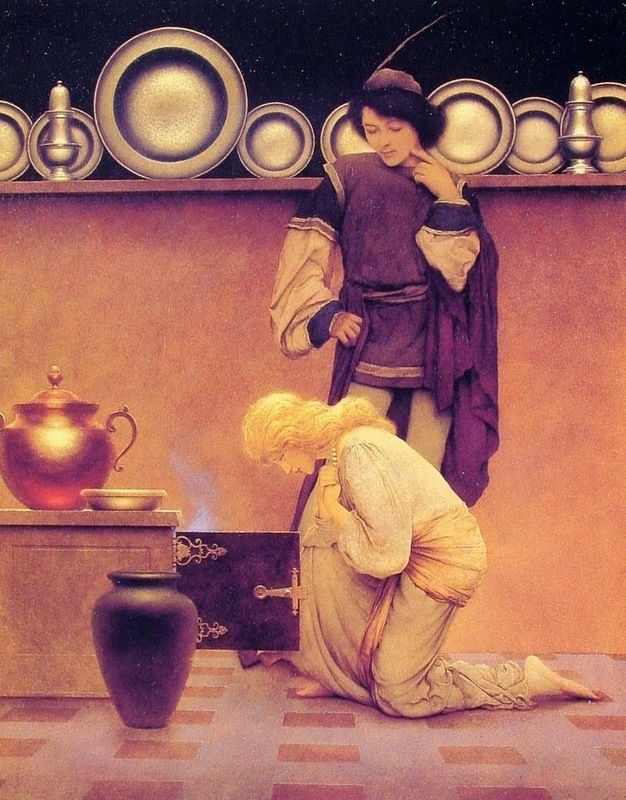 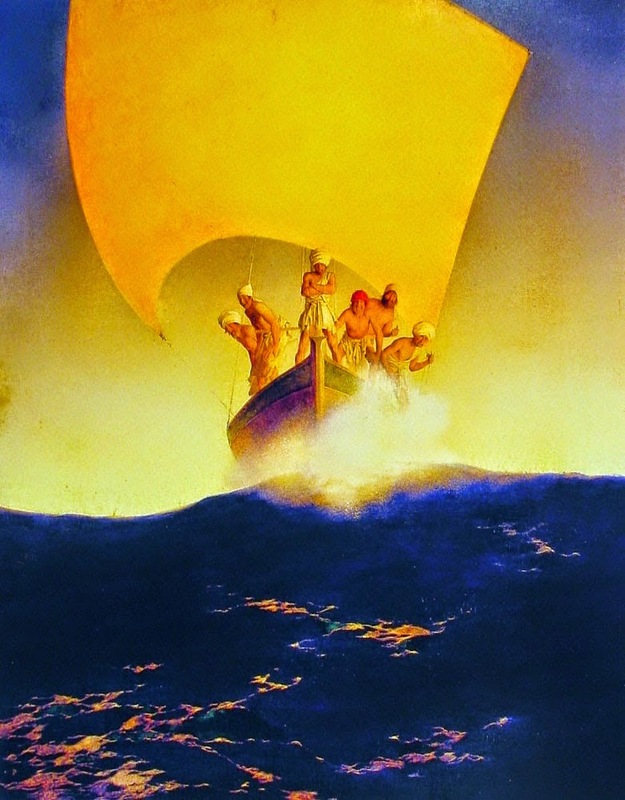 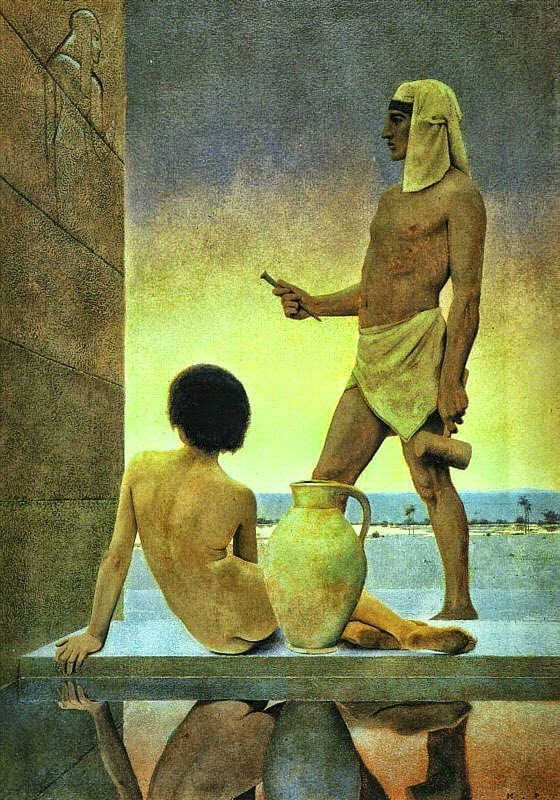 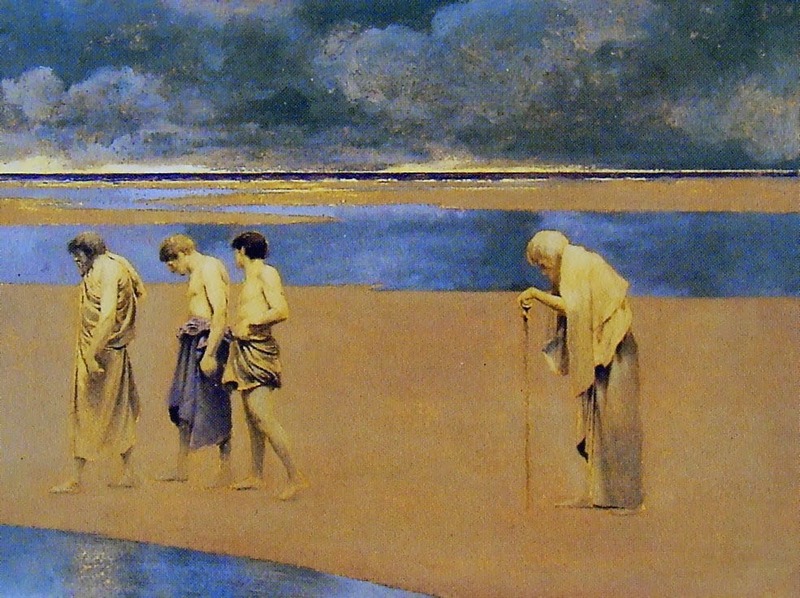 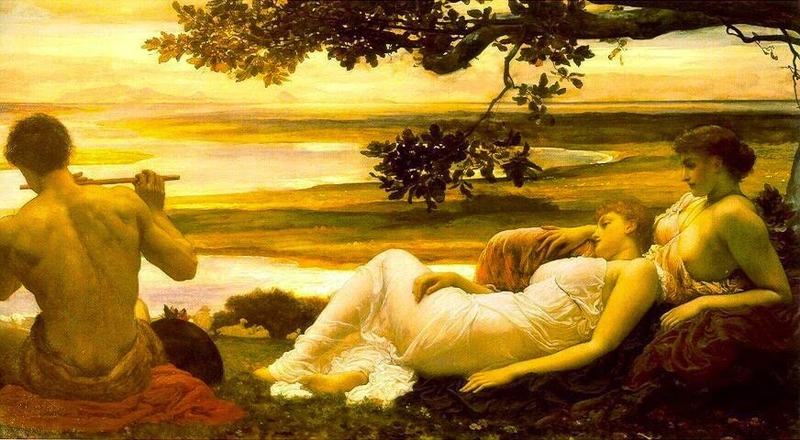 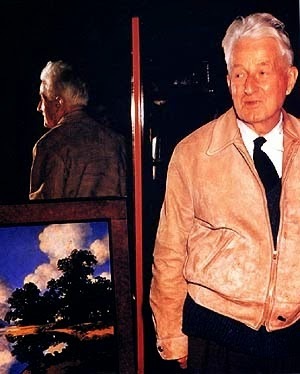 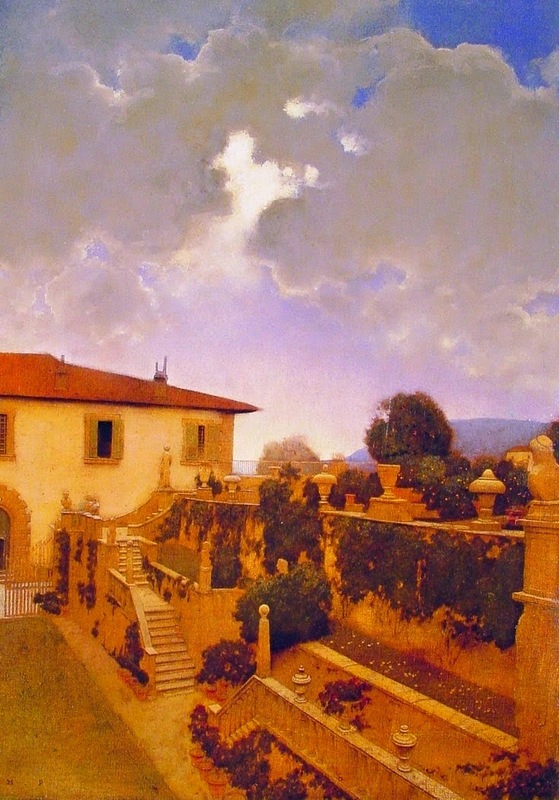 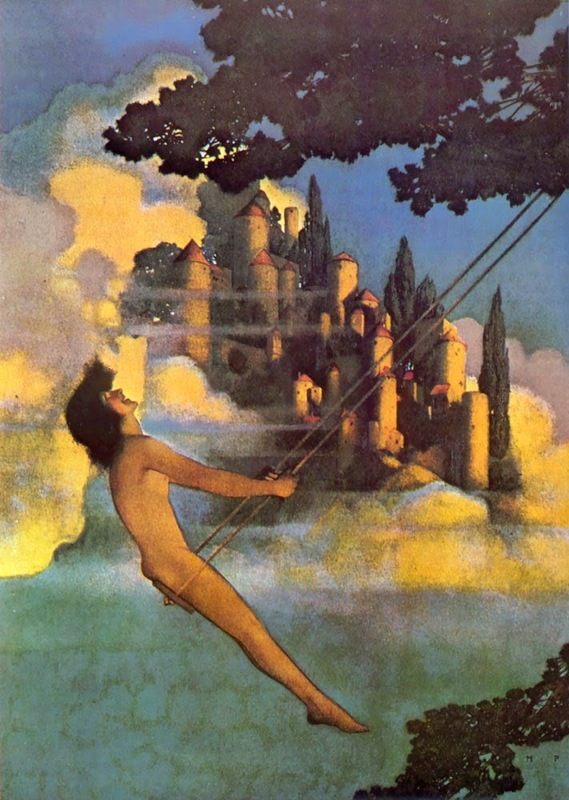 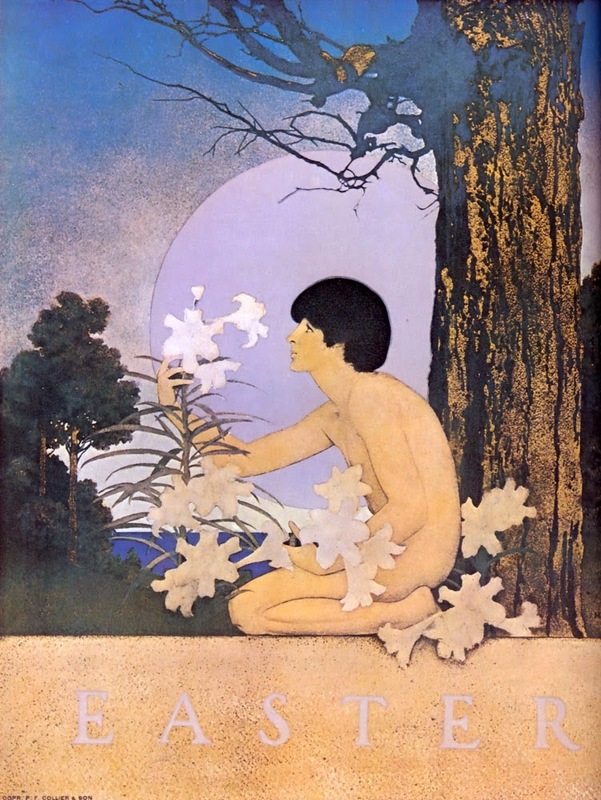 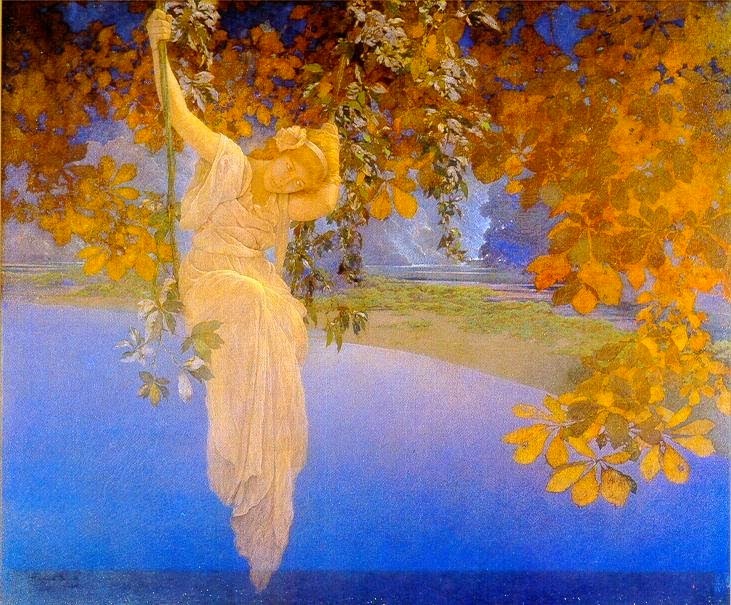 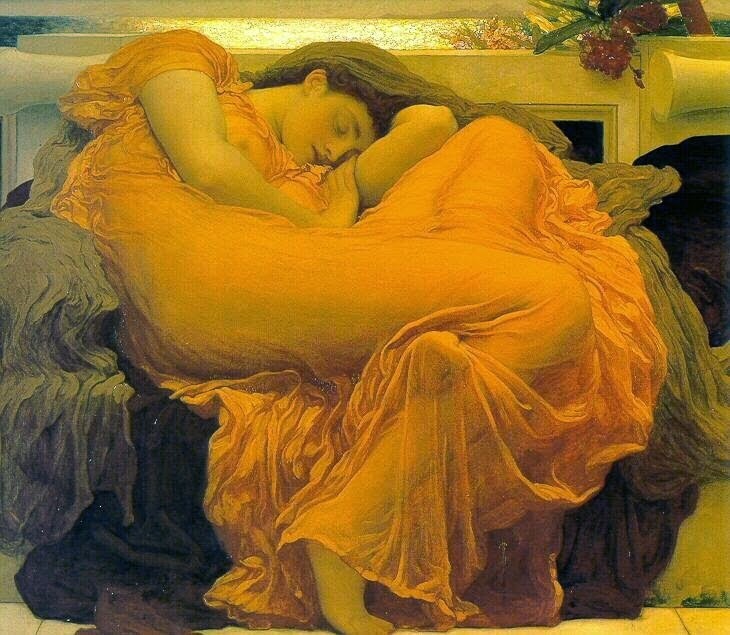 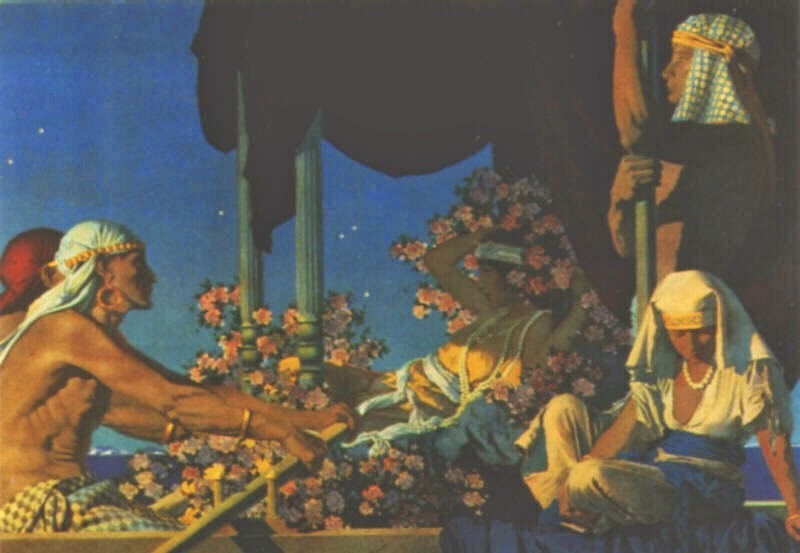 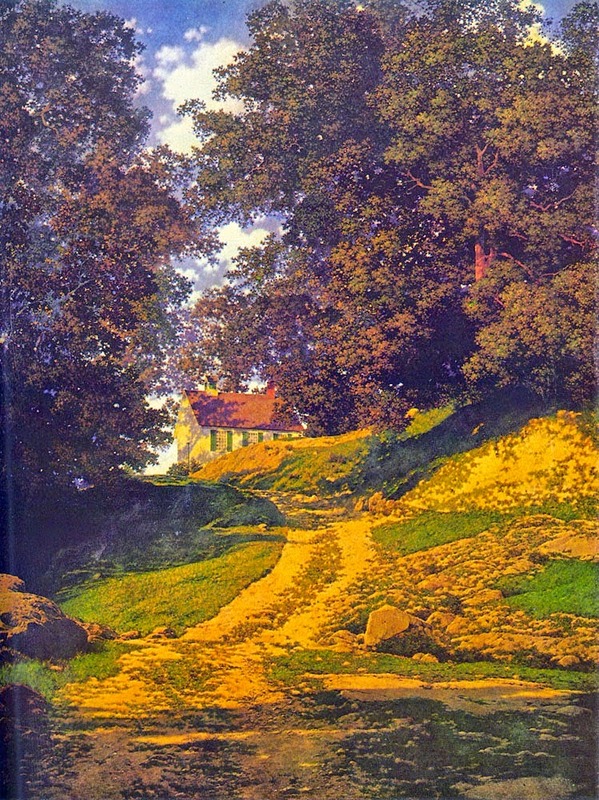 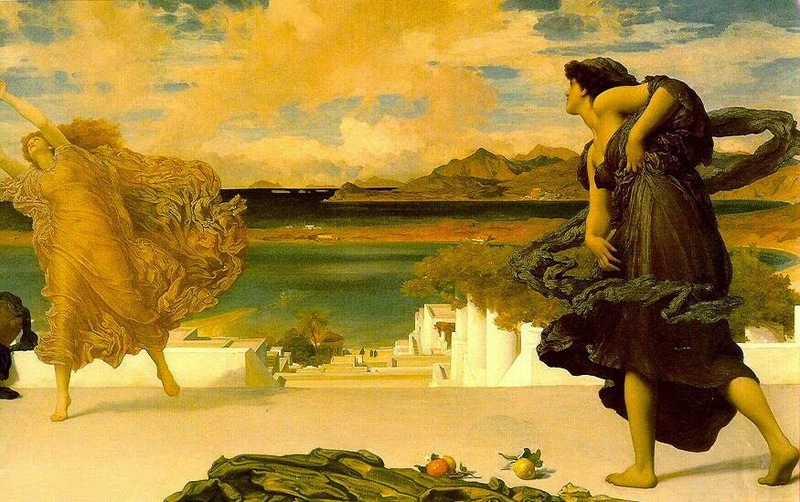 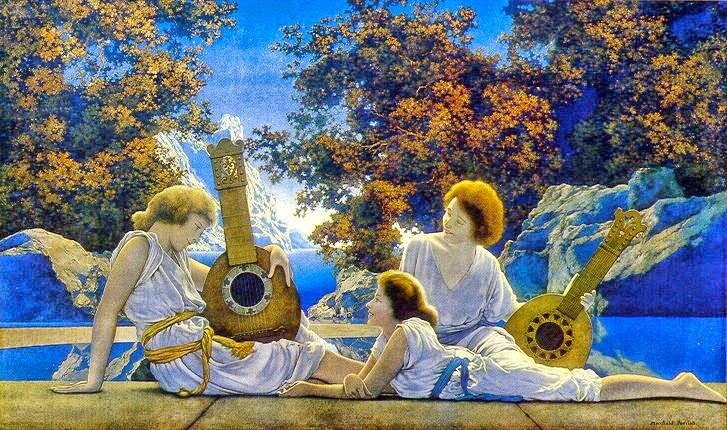 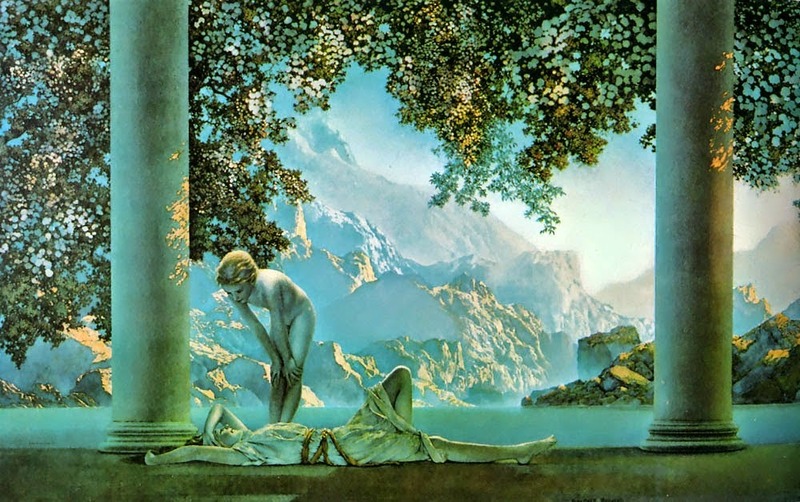 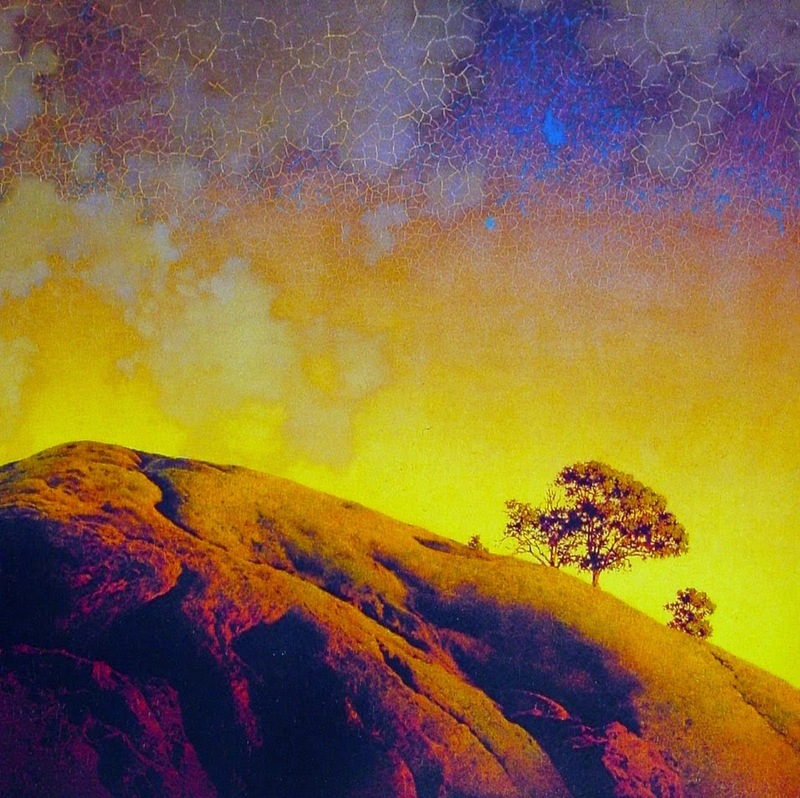 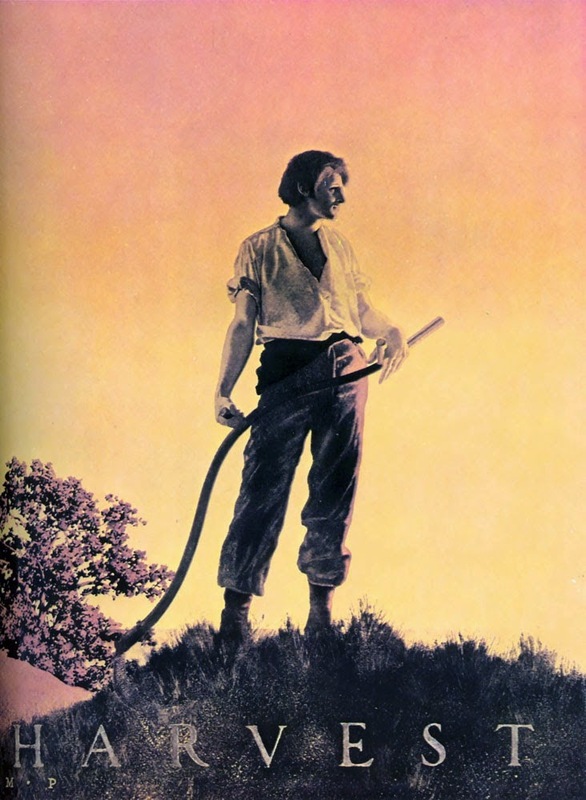 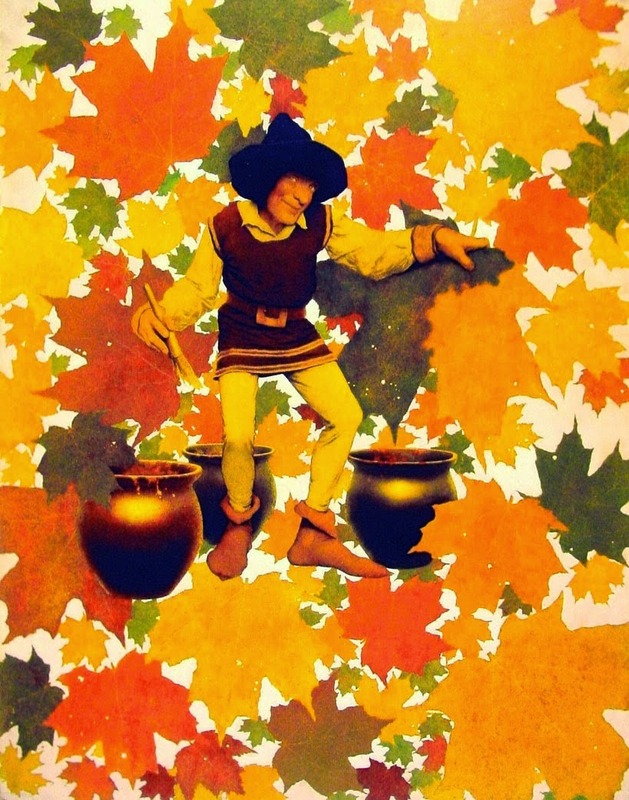 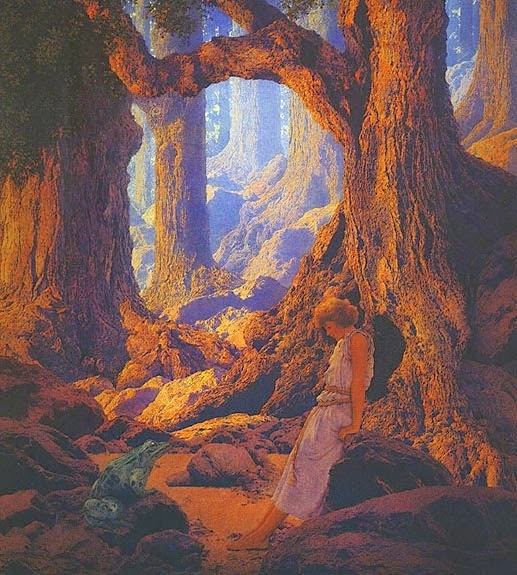 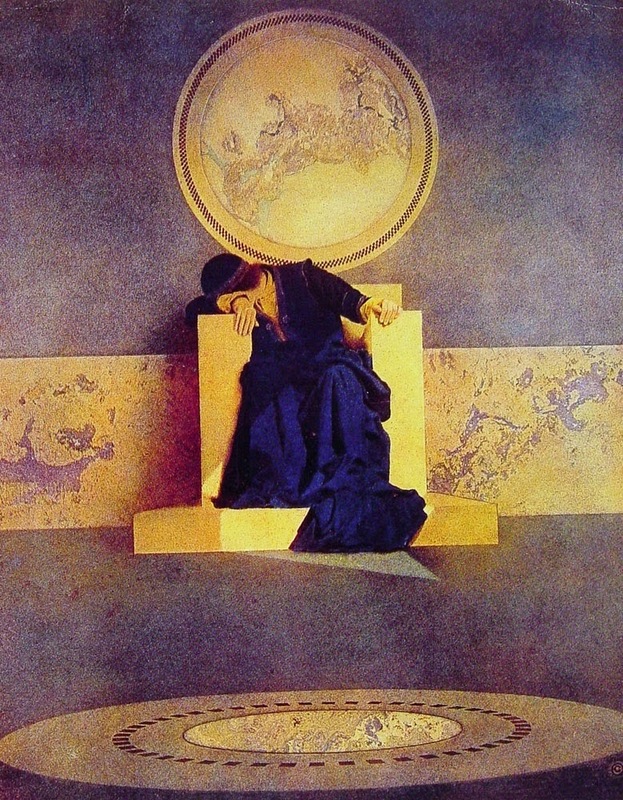 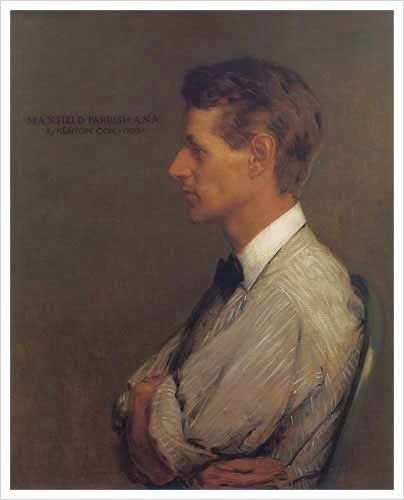 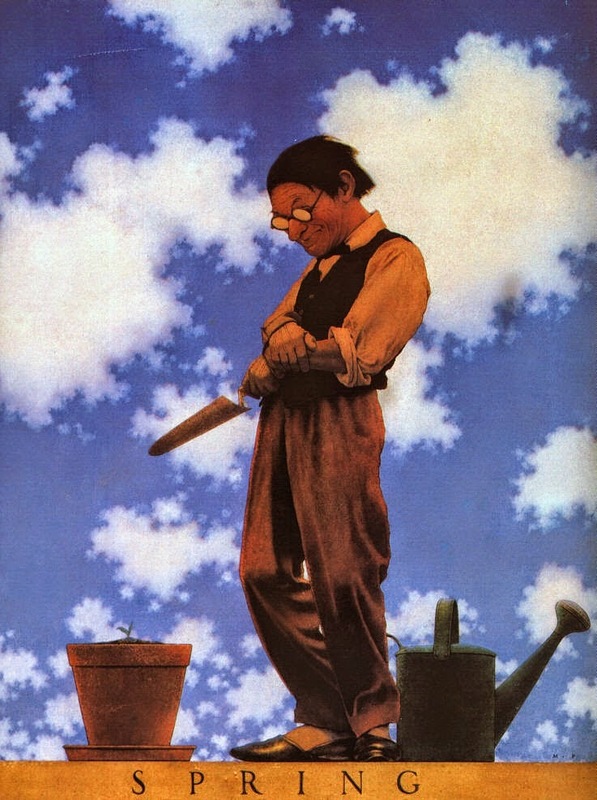 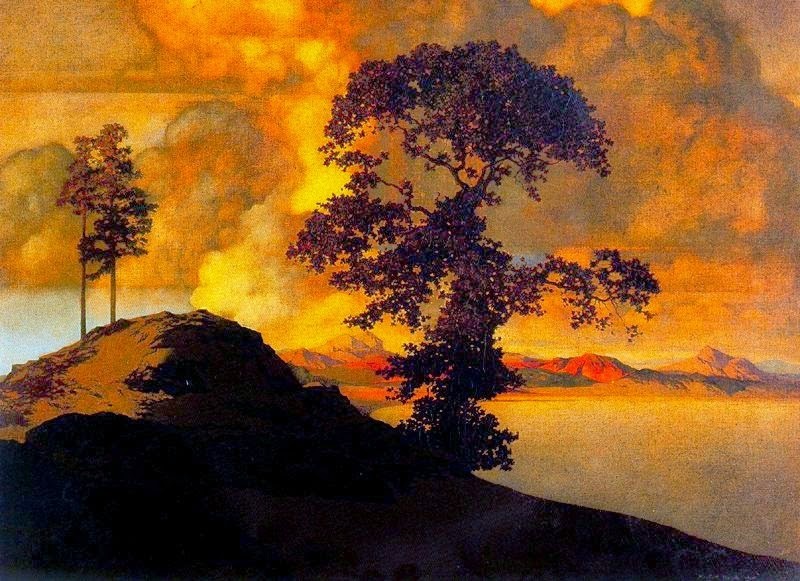 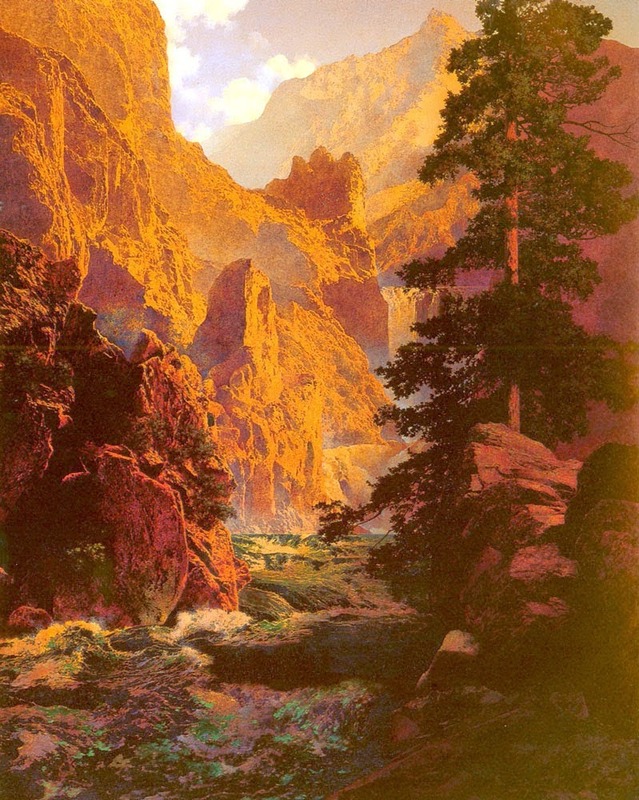 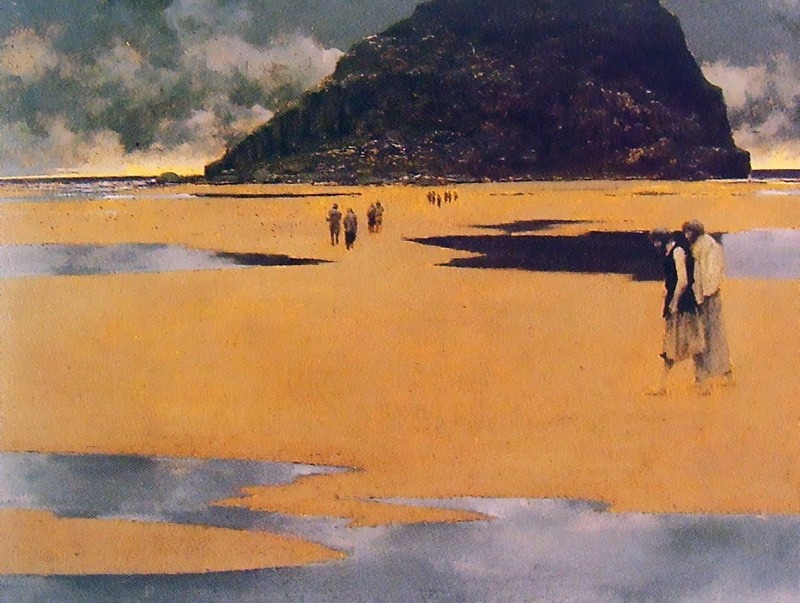 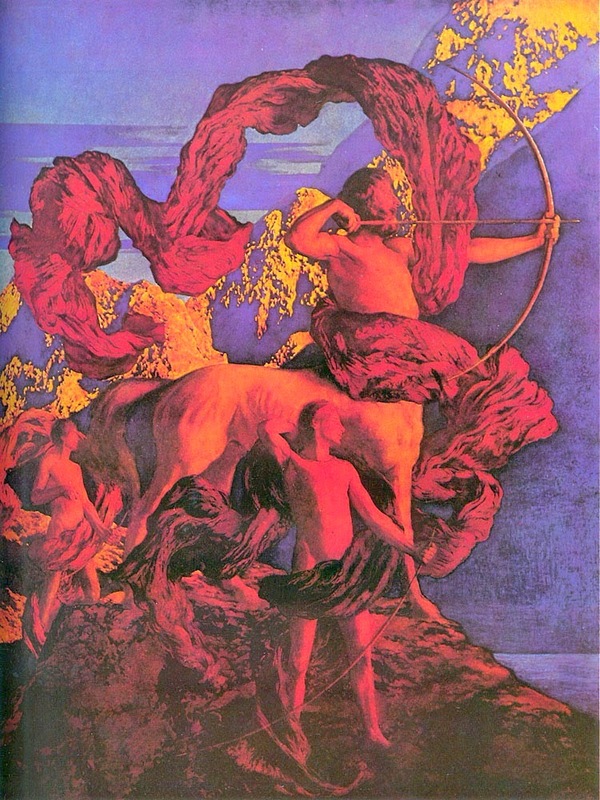 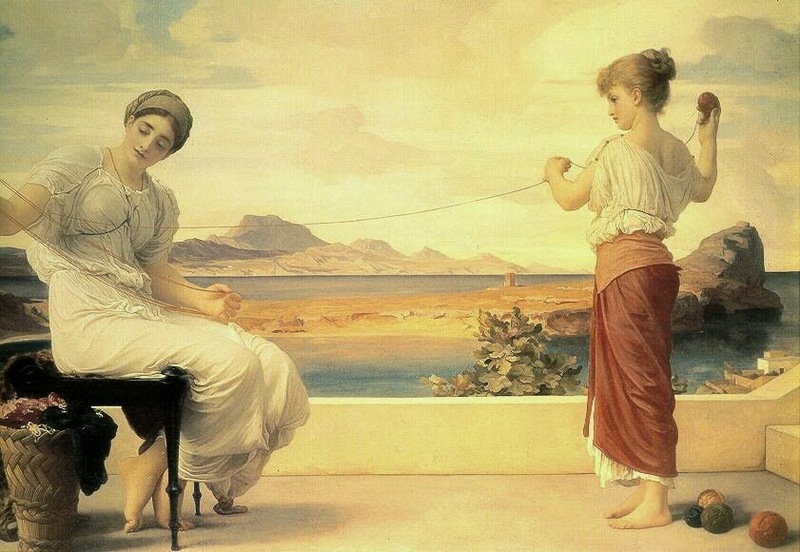 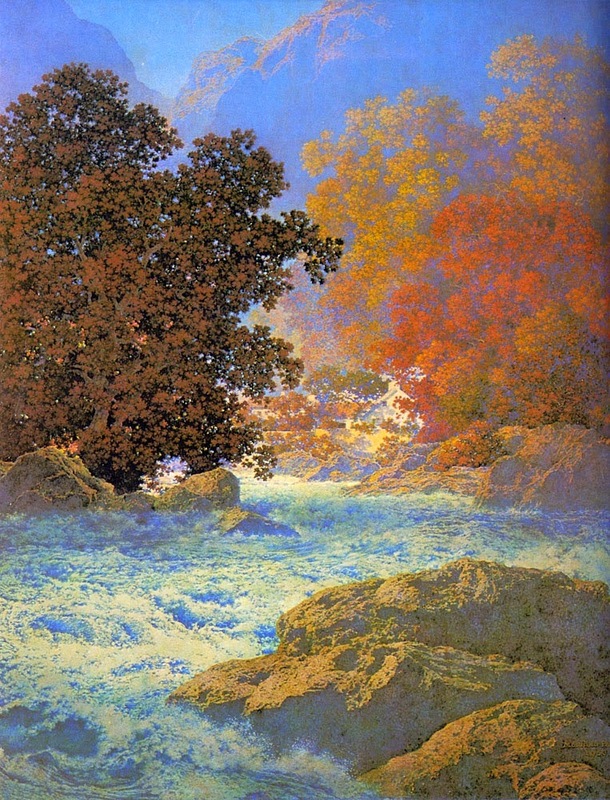 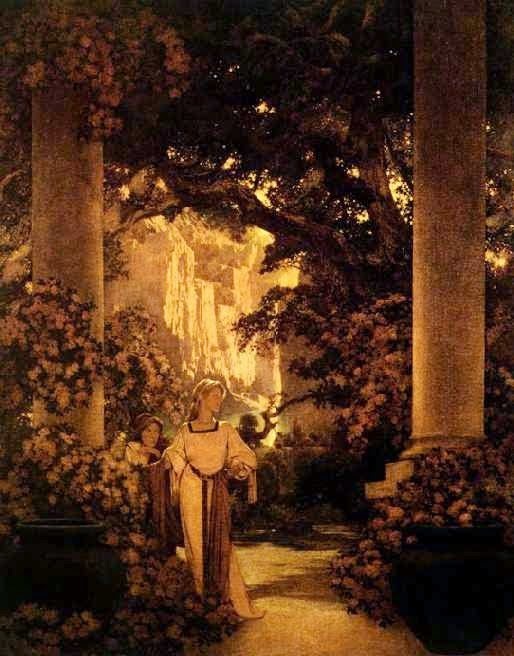 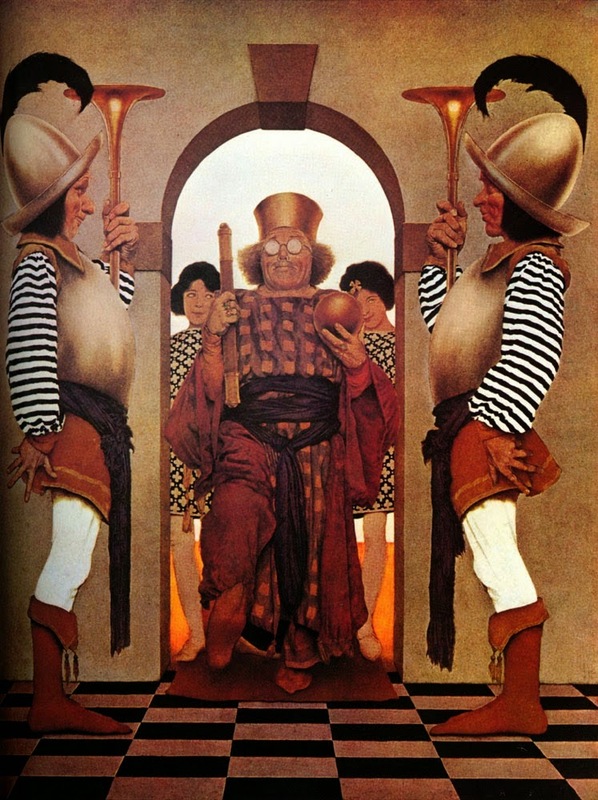 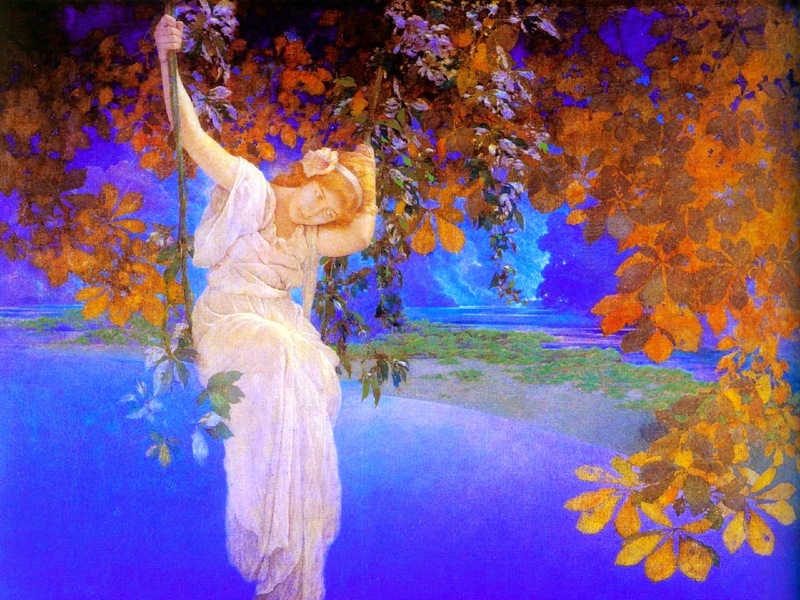 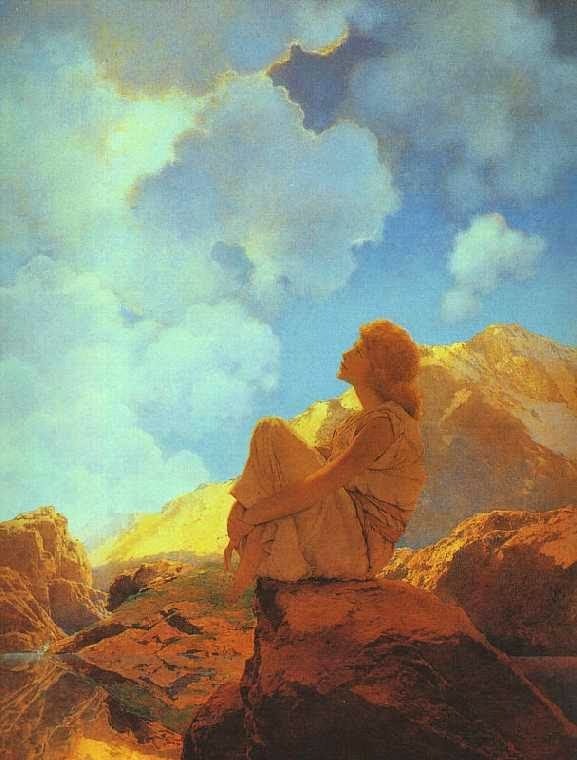 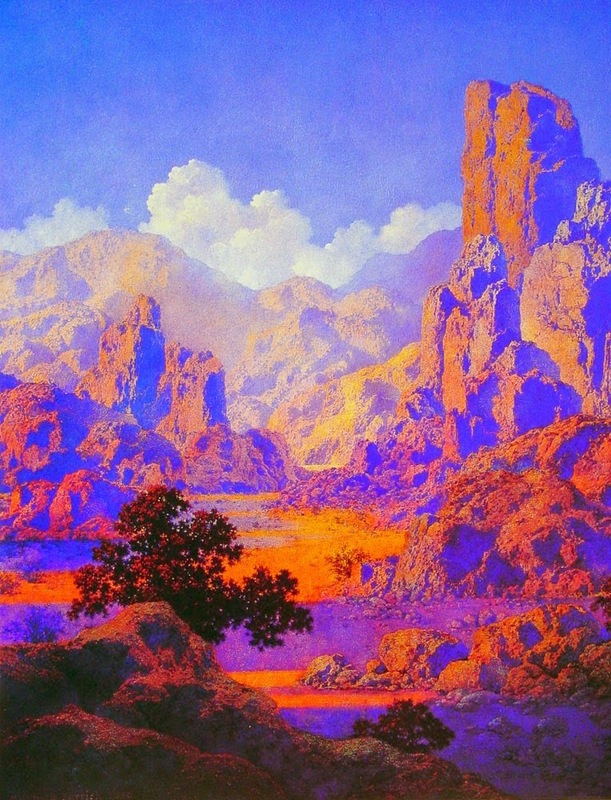 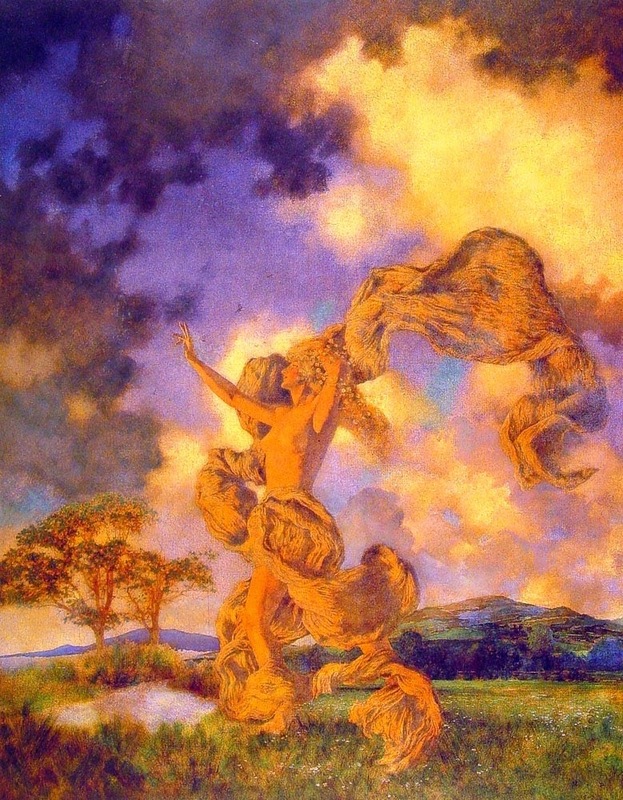 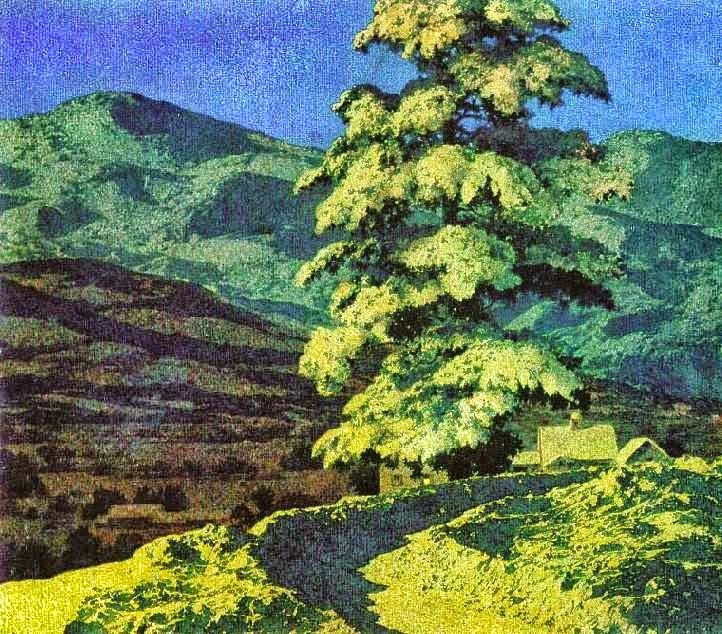 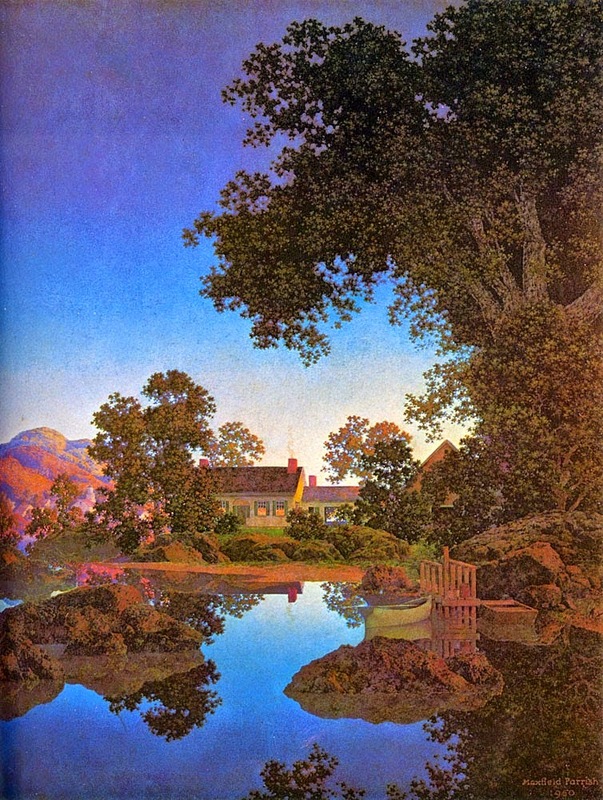 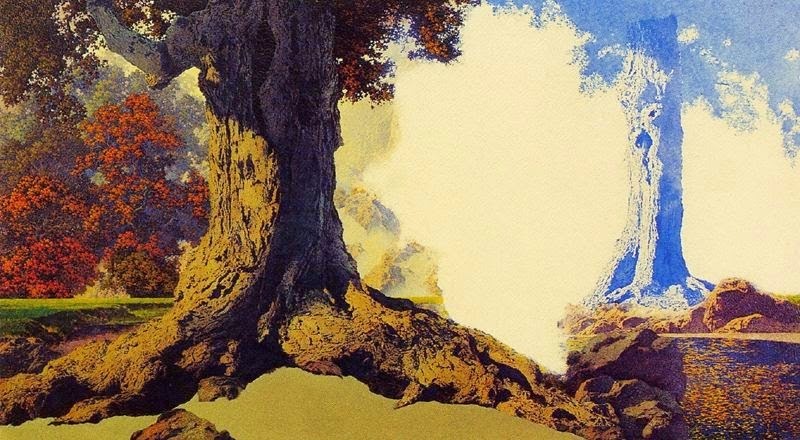 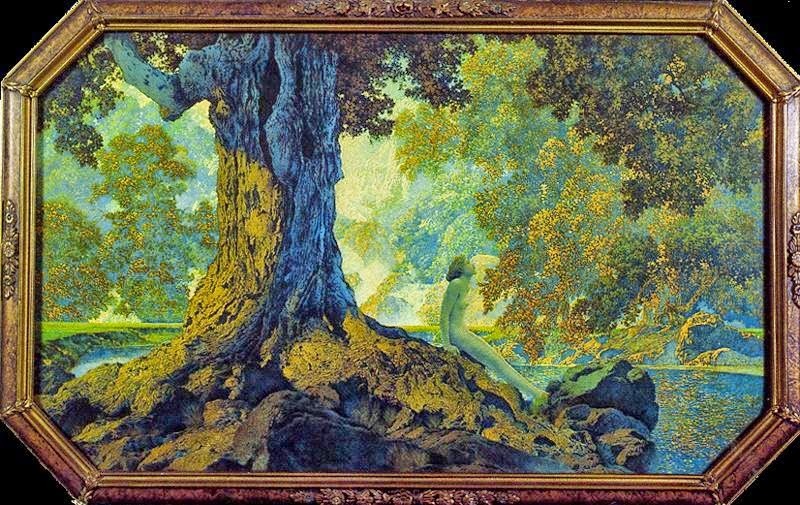 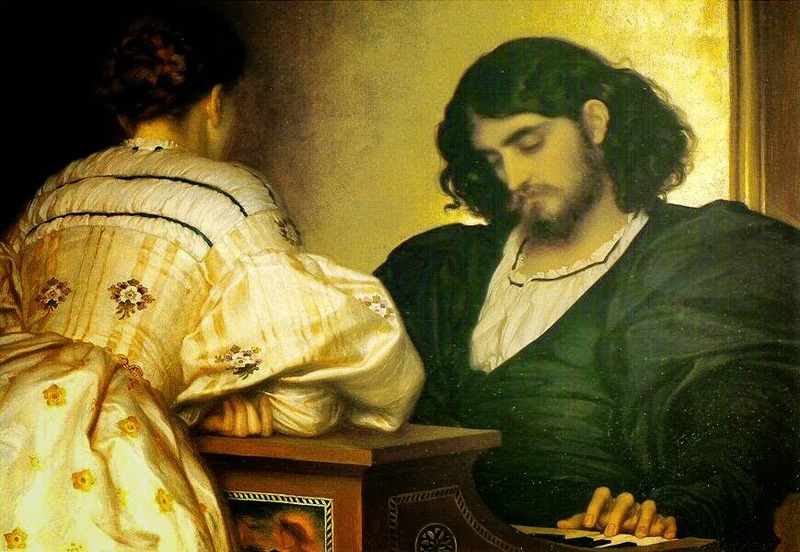 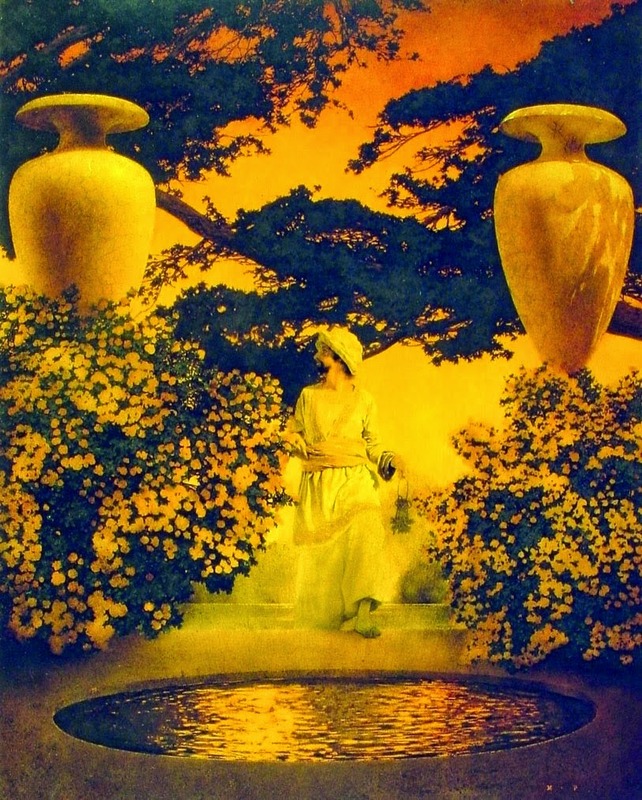 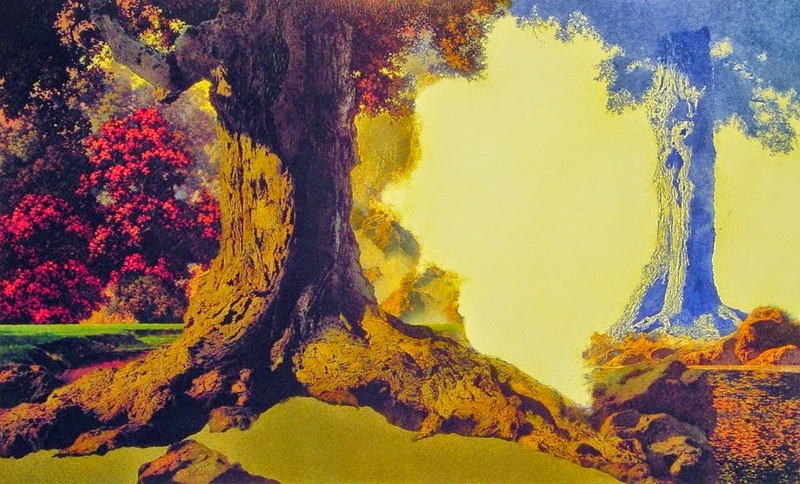 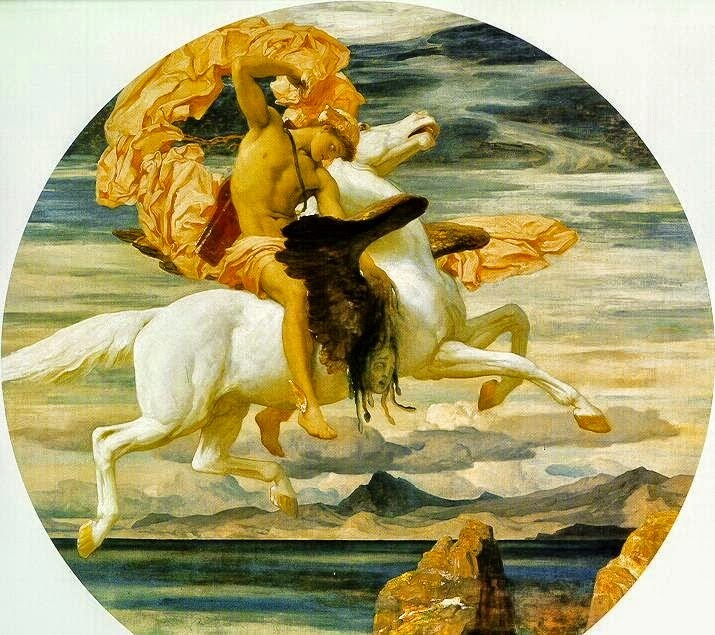 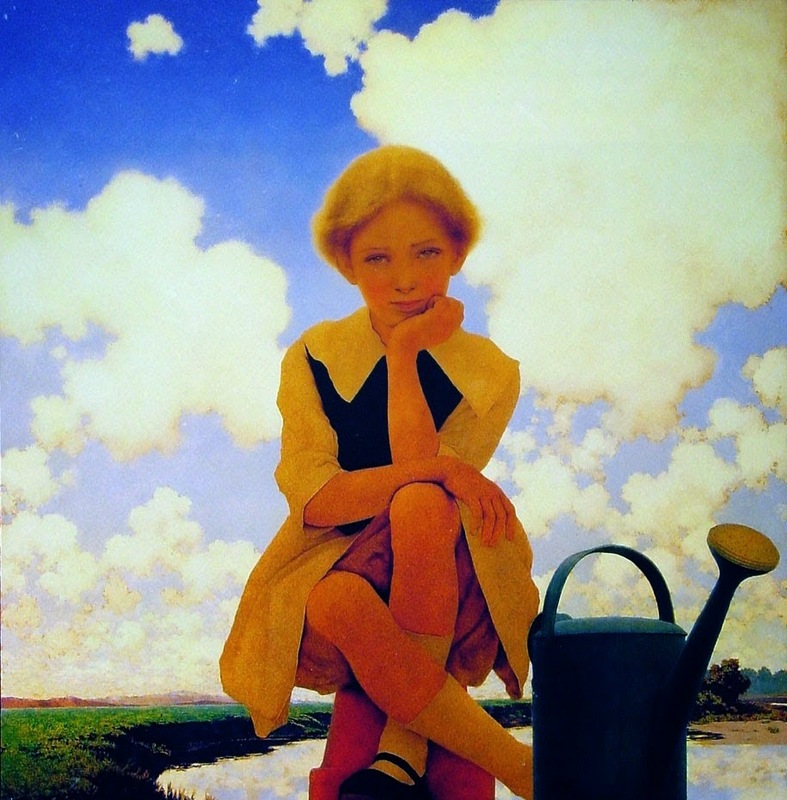 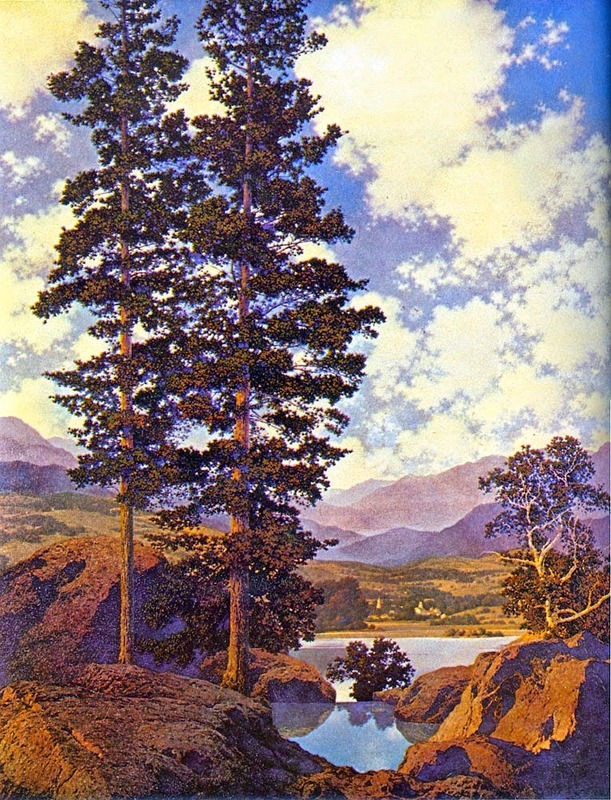 Maxfield Parrish [1870-1966] deeply committed to the democratization of art, was probably the most popular artist of the twentieth century in the United States after Norman Rockwell link. 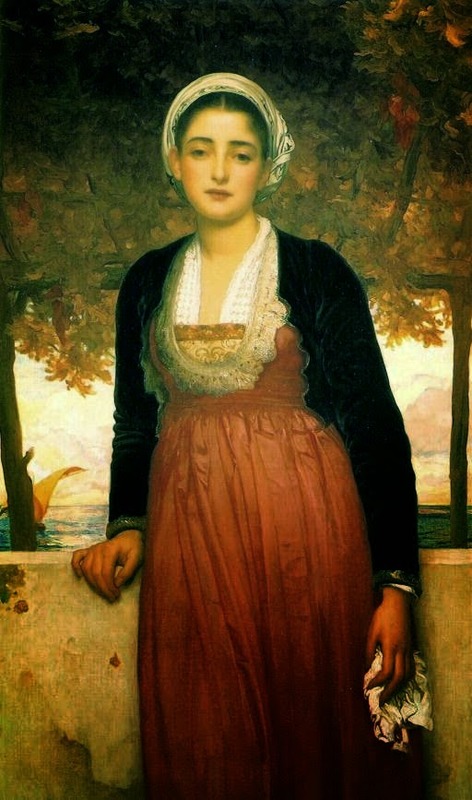 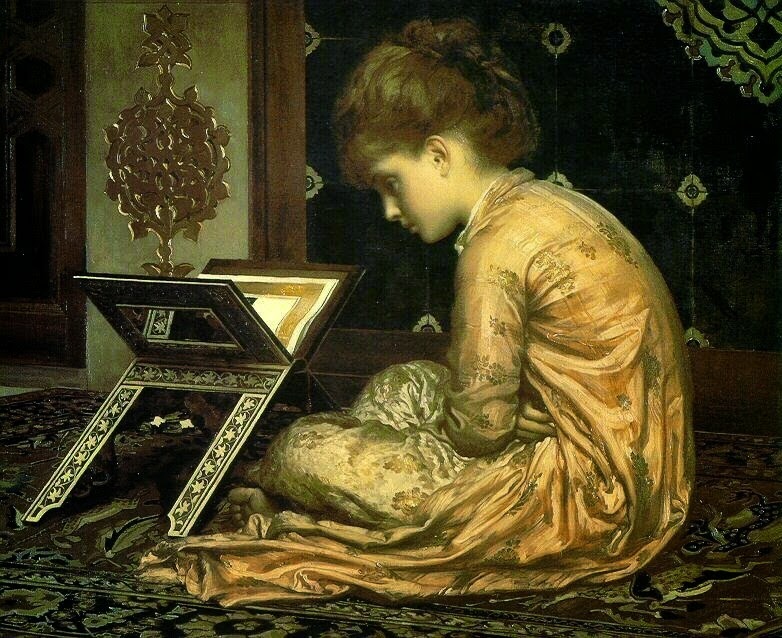 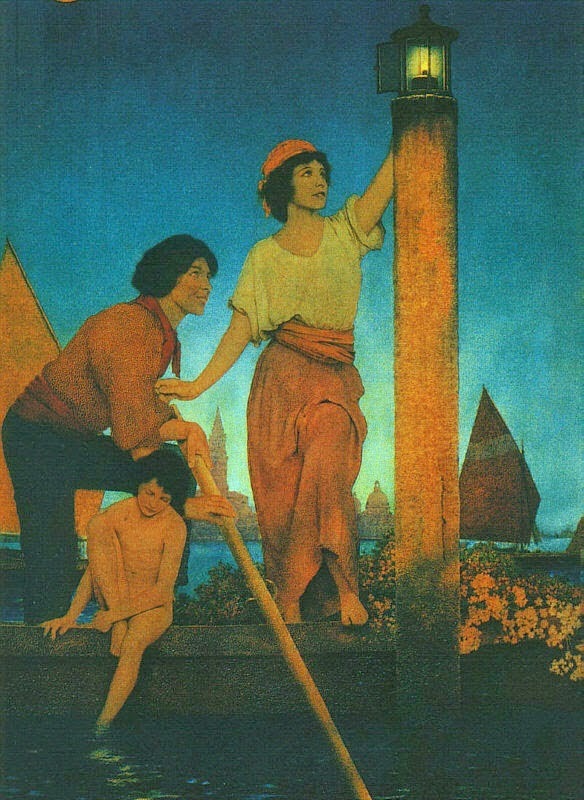 Like many American artists, including Winslow Homer link, Parrish began his artistic career as an illustrator and became prominent through the publication of his work in popular magazines, such as Harper’s Weekly, Scribner’s, Ladies’ Home Journal, Life, and Collier’s. 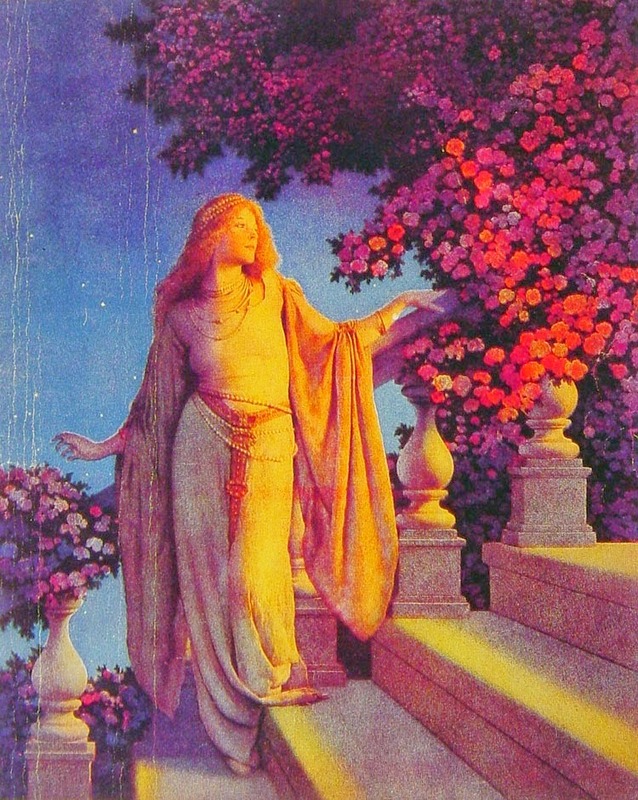 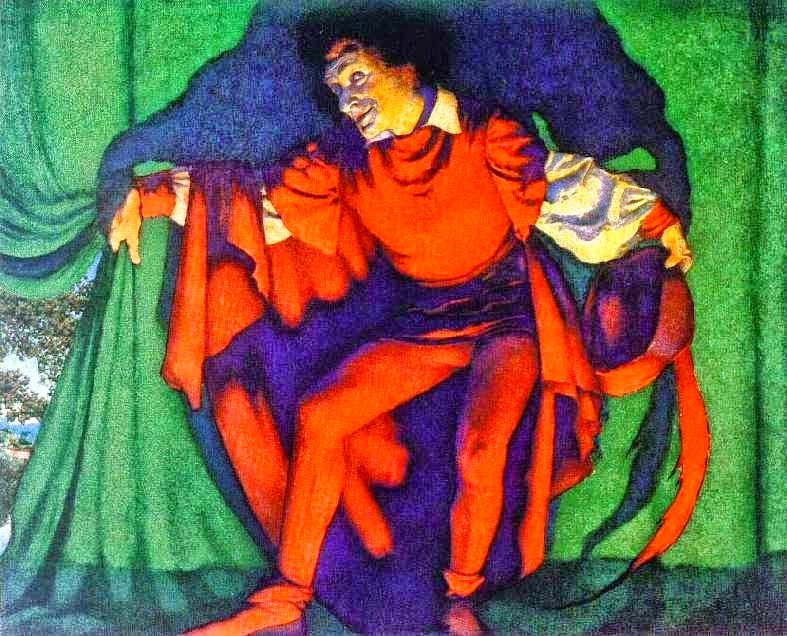 Parrish’s images also enhanced books, such as the childhood classics Mother Goose in Prose (1897), by L. Frank Baum, and Dream Days (1902), by Kenneth Grahame. 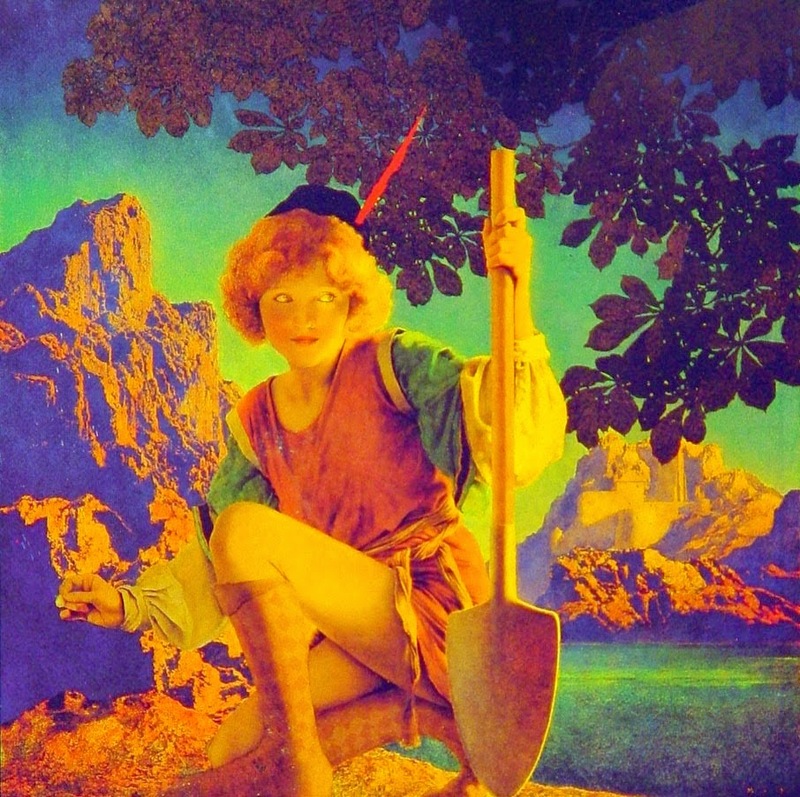 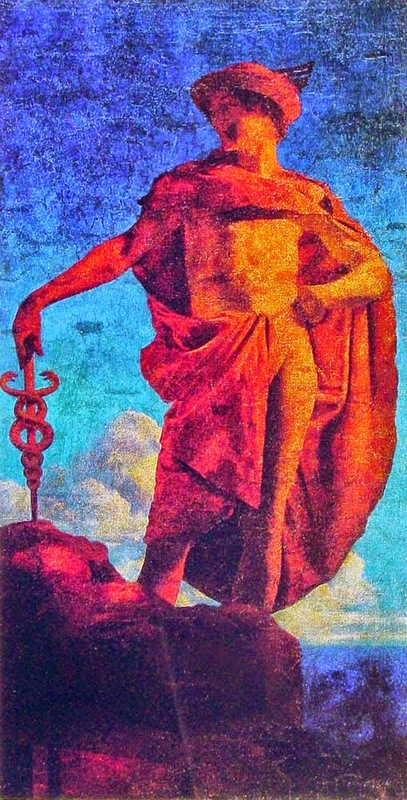 Parrish gained further renown through his posters, which decorated millions of households in the 1920s. 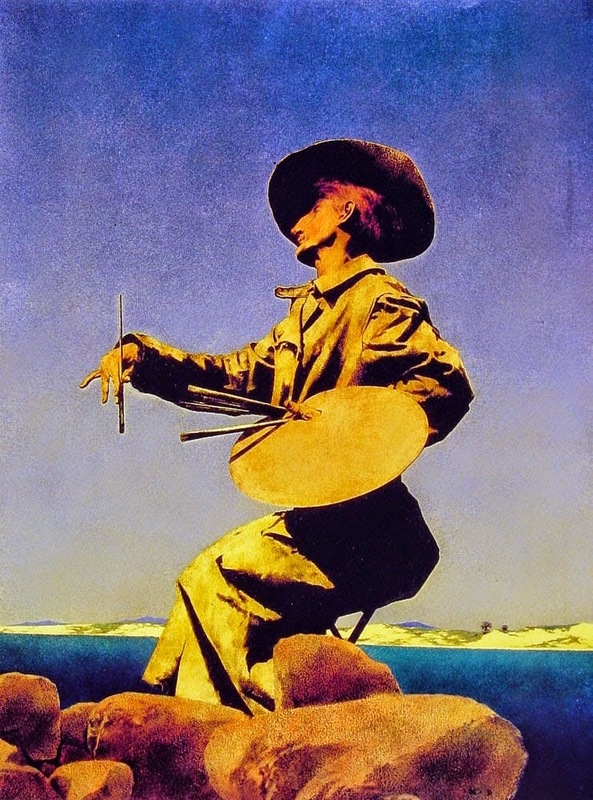 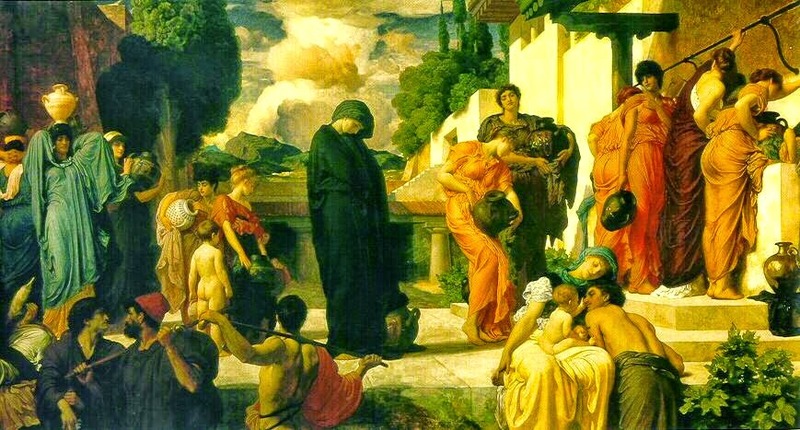 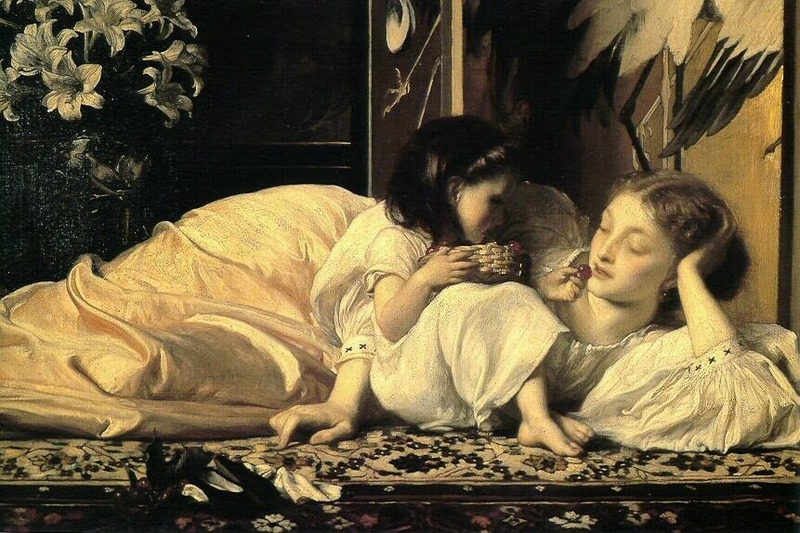 He was also a muralist. 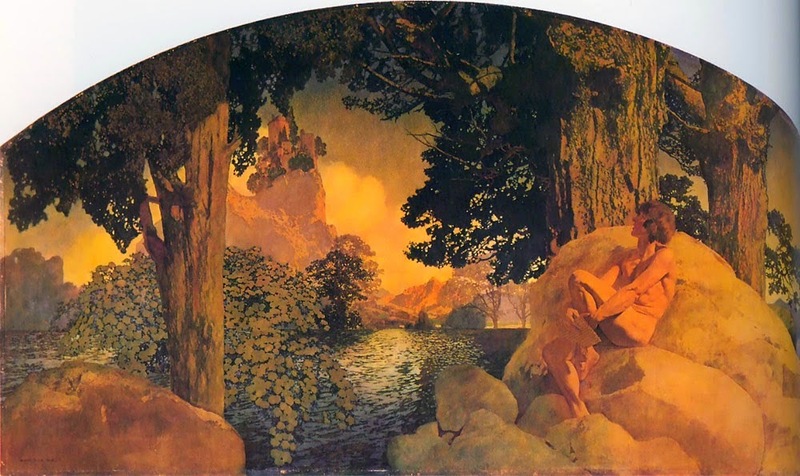 His most famous mural, Old King Cole (1906), can be seen in the bar of the St. Regis Hotel in New York City. 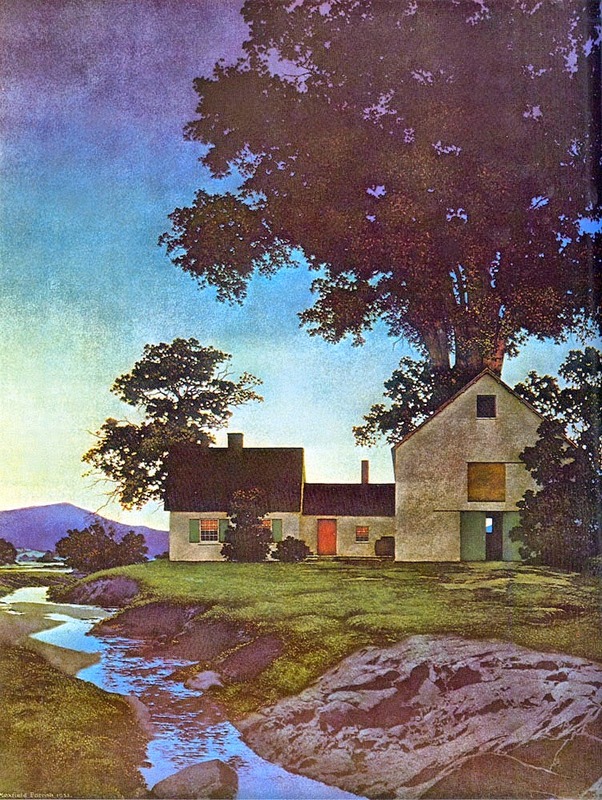 During and after the traumatic events of World War II, Parrish produced idyllic, comforting images of rural America that appealed to the public’s escapist fantasies. 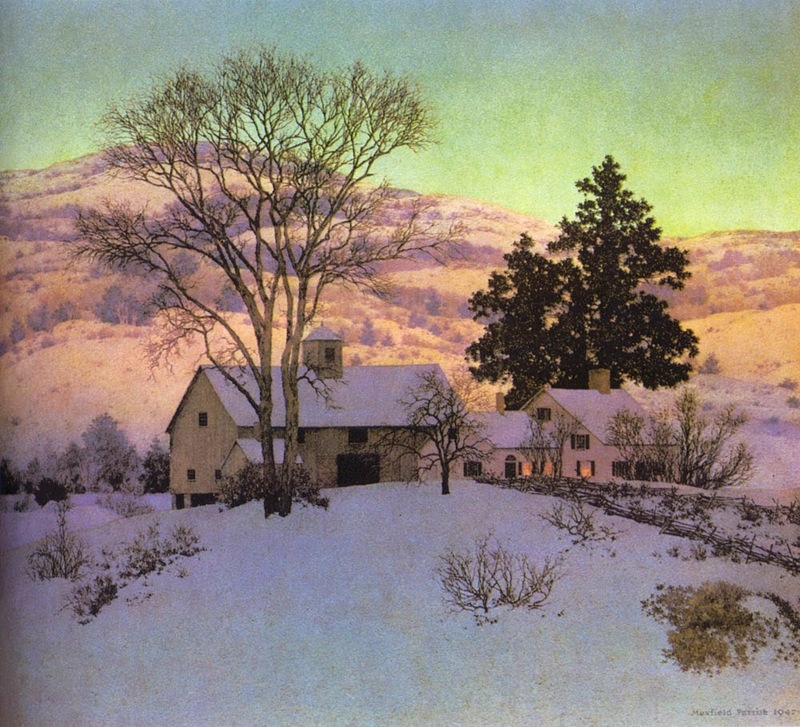 Hill Top Farm, Winter, a scene of Windsor, Vermont, was part of a series of landscapes that he painted in the last thirty years of his life for Brown and Bigelow of Saint Paul, Minnesota, one of the nation’s largest distributors of calendars and greeting cards. 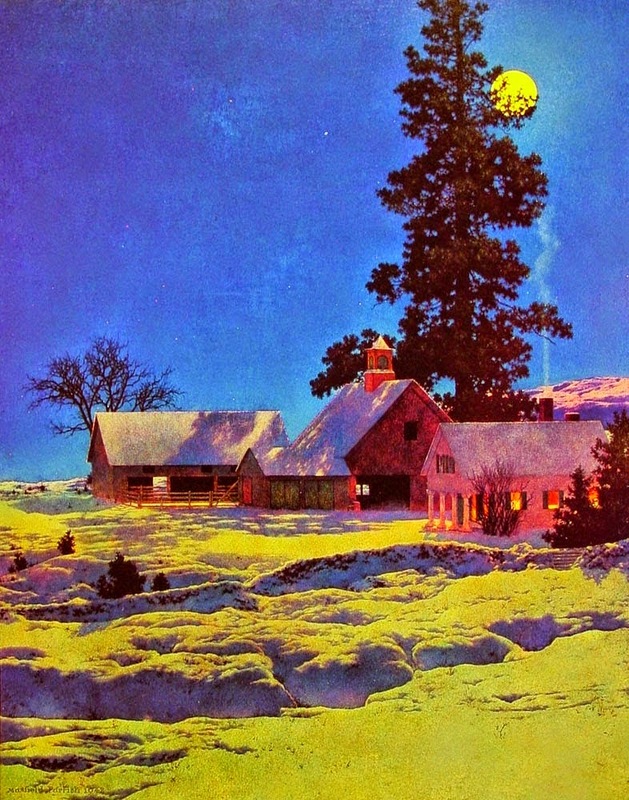 The picture appeared on the Brown and Bigelow calendar for 1952 with the title Lights of Welcome. 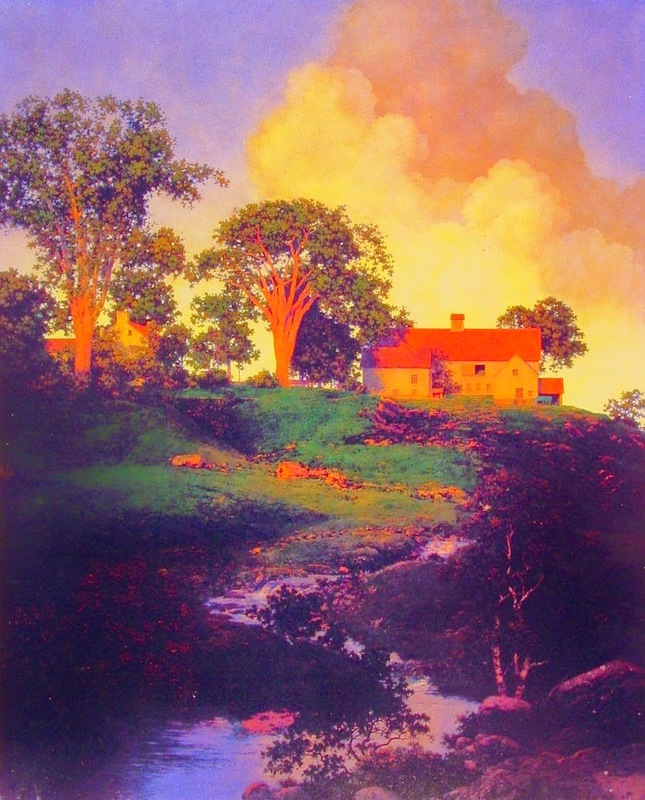 The warm lights in the farmhouse windows and the smoke issuing from the chimney create a cozy, appealing image.